New: This 90+page report contains the findings from an online survey completed from May 2017 to June 2017 from 337 people from associations around the world who are involved in member recruitment and member retention. 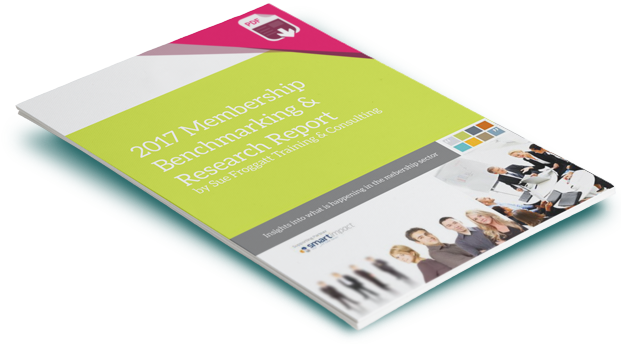 This new membership benchmarking study has just been released and is available to download. The report includes many comments from many respondents to help illuminate the findings, promote discussion and help generate fresh ideas. There is also a summary of findings section and a handy recommended agenda for possible action areas, with useful questions to help start the conversation. NB: It is an update on the 2013-2014, 2011-12 and 2008-09 studies, so in this study, in certain sections it has been possible to include a review of what has changed over the past few years. * £49.00+VAT for an electronic version (pdf file). NB: Ebooks have VAT added in the UK. Survey sponsor: smartimpact who provide intelligent CRM solutions.